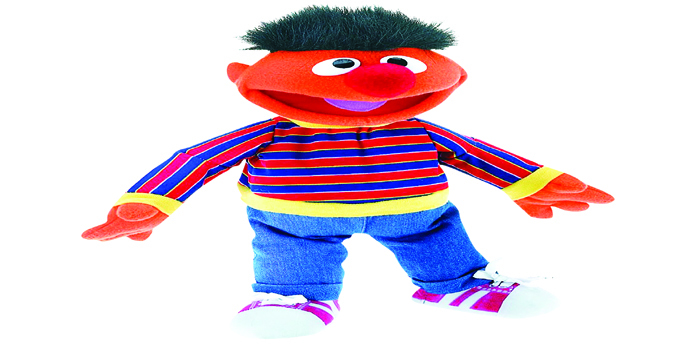 Sesame Street celebrates Mena��s Month and their 45th birthday. And Ernie teams up with Conan Oa��Brien as he goes off to get his first colonoscopy. Although heavily sedated, the Muppet chats through the procedure and explains that he has a family history, weaves in Obama Care and the confusing website, and urges people to visit doctors regularly for health checks. Amusing and entertaining in all of two minutes. Ernie for President, we say! Benedict Cumberbatch may be engaged now, but that wona��t stop women swooning over him. In sync with his new film, The Imitation Game, he impersonates over ten celebrities during an interview with MTV. His Sean Connery, Owen Wilson and Michael Cane are spot on, while the Tom Hiddleston rendition is baffling, almost better than Hiddleston himself! His Taylor Swift and Christopher Walken impressions, leave much to be desired, though! At 13 million hits, this tragic post sees Chris Picco singing Blackbird to his son, Lennon, who was delivered by emergency C-section after Chrisa�� wife Ashley passed away in her sleep. During her pregnancy, shea��d listen to music and feel the baby move so in his last hours, Chris sings to the premature little Lennon, who unfortunately too passed on. A website (piccomemorial.com) created in their honour is the most talked of site currently.